Innovation. Dedication. Reputation. The combination of these qualities is what sets the Baton Rouge Vascular Specialty Center (VSC) apart. VSC is well-recognized and well-respected in southern Louisiana for being the doctors’ choice when they need to refer their patients to specialists for vascular disease issues. 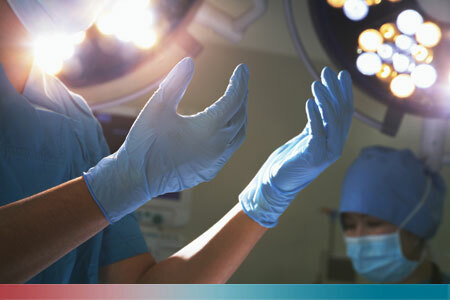 The highly trained and credentialed VSC surgeons have more than 30 years of experience in vascular medicine/surgery. Our team is trained in all aspects of traditional, endovascular and laparoscopic vascular surgery. We perform every proven vascular treatment available today, including innovative procedures not offered by other providers. The VSC surgeons are committed to providing patients with today’s most advanced and effective treatment solutions, while continuing to find the latest advancement in vascular care by serving as a world leader in clinical trials. Our training, skill, and use of the latest techniques and technology are only parts of our optimal-care model. Another important aspect: our genuine commitment to compassionate patient care. Dealing with a vascular disease can be difficult for patients. No one needs the added stress of worrying about their care and caregivers. We take personalized patient care seriously. We give each person our full attention, and we will treat you as if you are our only patient. You’ll be seen by a vascular specialist — not a nurse practitioner or physician assitant — at your very first appointment. We want you to get to know your specialist so you can develop a working relationship from day one and ensure the best possible treatment outcome. Our vascular specialists stay in close contact with your referring primary-care provider so that we can provide you with the care you need and deserve. For advanced, comprehensive vascular care, turn to Baton Rouge Vascular Specialty Center. Give us a call today at 225-399-4340 or request an appointment online now.